The first solo effort from the guitarist of ASH RA TEMPEL is one of the most innovative, groundbreaking and mindblowing album of the 70s' ! Ranking with its contemporary TANGERINE DREAM and KLAUS SCHULZE, Manuel Göttsching combines waves of electric guitars to create spacey evolving soundscapes, and makes the music sounding not "guitar- dominated", but surprisingly rather very electronic and hypnotic. The overture tune, "Echo Waves", is a perfect example of the music created by Manuel. Mixing JIMI HENDRIX's-like saturated guitar solos with minimalistic NEU-ish and early PINK FLOYD feels, this pulsing track is very floating and ambient. Hard to believe it was recorded only with guitars ! The end is pure heavy psychedelia... The best and the most energic song of the album. The calm comes back with "Quasarsphere", a very smooth and delicate ambient passage, which reminds best moments of POPOL VUH. Very relaxing underwater music... The last track is the longest of the record and announces the musical direction that will be taken with ASHRA. "Pluralis" is the most mysterious and the most epic song featured here, transporting you to ancient civilisations lost in space... Certain passages are reminiscent of GONG's "You", released the same year. Light guitar riffs evolve to create a pulsing effect on superposing athmospheric waves, appearing and disappearing slightly. Magic! The album ends with a saturated frightening guitar solo, sometimes in the vein of Edgar Froese's playing, but very high-pitched and epic, all accompanied by echoing musical textures. 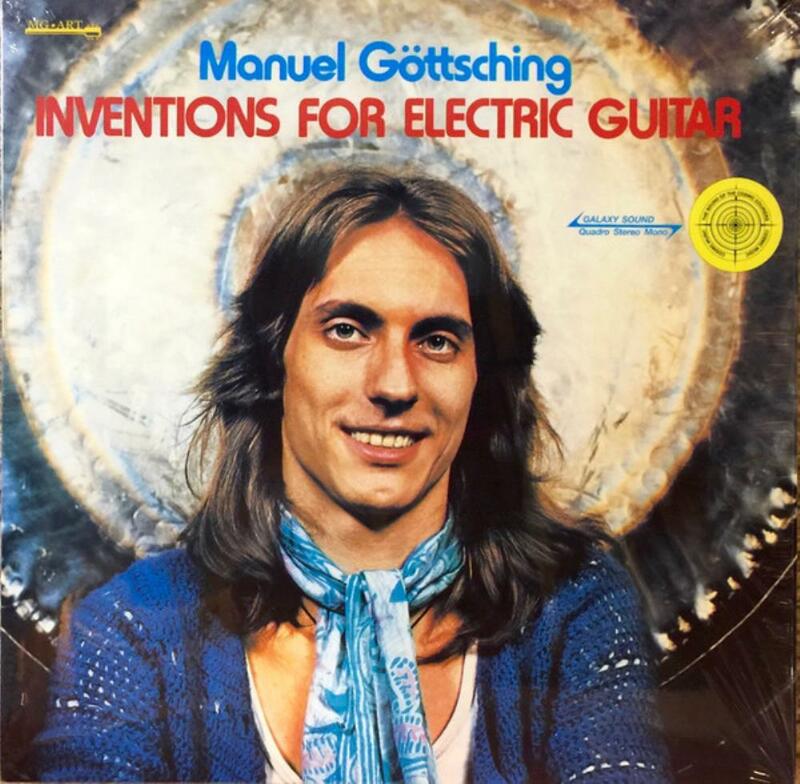 "Inventions For Electric Guitar" is the first solo masterpiece by Manuel Göttsching. Really avant-gardiste and ahead of its time, this record announces main directions in electronic music. Incredible, a must for Space Rock and Electronic Ambient lovers.